What make of boiler is fitted under the ECO gas boiler grant? 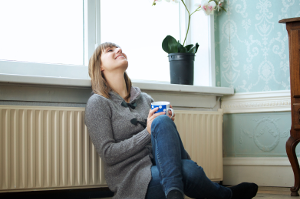 The make of the ECO boiler you have fitted will largely be down to the heating engineer who has the job of carrying out the installation in your home. It’s most likely going to be either a Worcester Bosch boiler or a Vaillant boiler, although both Ideal and Baxi boilers are also being fitted under the scheme. But whichever boiler you have installed you can feel safe in the knowledge that it’s one of the most reliable and trusted brands on the market. Even though you won’t be able to specify a preference, whether it’s a Vaillant boiler or a Worcester Bosch boiler, every ECO installed boiler will have one thing in common – the fact that they are all energy efficient modern condensing boilers. In the fight against escalating fuel bills modern condensing boilers are the weapon of choice because they can save you some serious money. 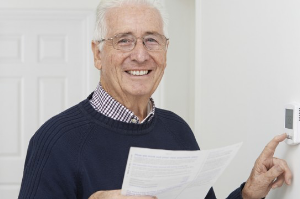 If you were to swap your old non condensing boiler for a new energy saving condensing model you will be able to reduce your energy bills by up to £300 a year. With boilers responsible for 60% of annual energy costs, the more efficient the boiler the more money you’ll be able to save. A rated modern condensing boilers are capable of converting a minimum 90% of fuel into heat. Even though they produce the same amount of heat modern condensing boilers use around a third less fuel. In comparison, old G-rated non condensing models managed somewhere in the region of 60% fuel converted into heat. So it’s quite a step up. The ECO targets ageing boilers that aren’t operating efficiently by replacing inefficient non condensing boilers or condensing boilers under 86% efficiency with modern energy saving condensing models. Most boilers with a SEDBUK Rating of A and B will be condensing boilers and therefore unlikely to be eligible for a boiler grant due to the low percentage of fuel they waste. SEDBUK Ratings range from A-G and have an efficiency percentage. Boilers between C and G waste the most fuel and are prime candidates for the boiler grants scheme. 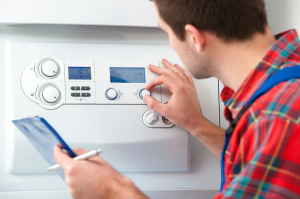 The installer will remove your existing boiler and replace it with a new condensing model.